Dreams Are Calling. 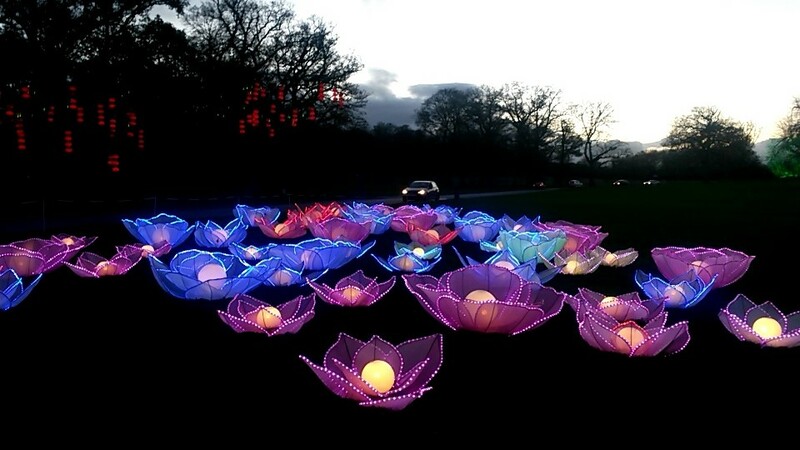 : Festival Of Lights. 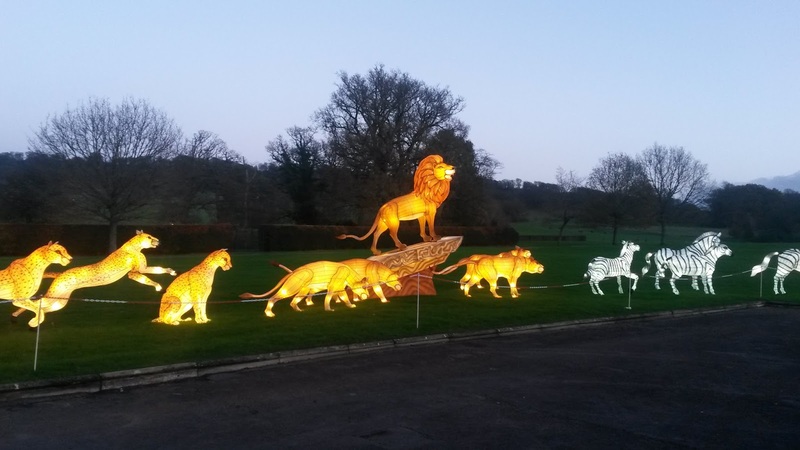 On Friday we visited Longleat for their Safari Park and Festival of Lights. I have mixed feelings about zoos/ safari parks but I won't get into that on here. Any ways, we saw lemurs, tigers, lions, cheetahs, wolves, giraffes and snakes along with many more. After the Safari Park, we went ice skating (no pictures of that) which was in the park for the winter period. I love ice skating but I only get to do it once, maybe twice a year. We got about 90 minutes on the ice, and I was in such a good mood when we came off. Seriously, does exercise/ workouts put anyone else in a happy mood? 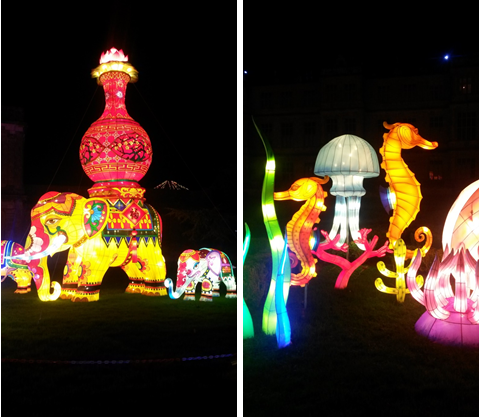 After some dinner it was dark enough for the Festival Of Lights to begin. 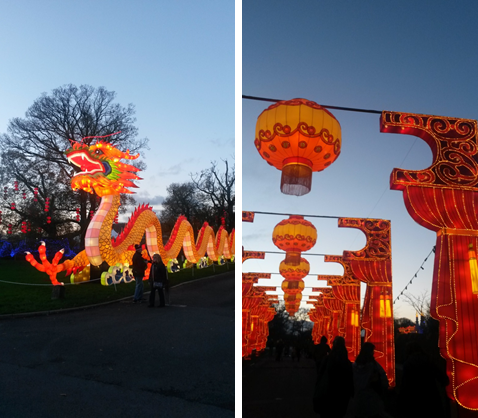 The Festival Of Lights is basically lots of chinese lanterns placed throughout the Longleat house grounds from November to January. They had a massive gate with "door Gods", lucky elephants, all the chinese zodiac signs, an under the sea garden and a huge boat, along with others, all done up in lights. 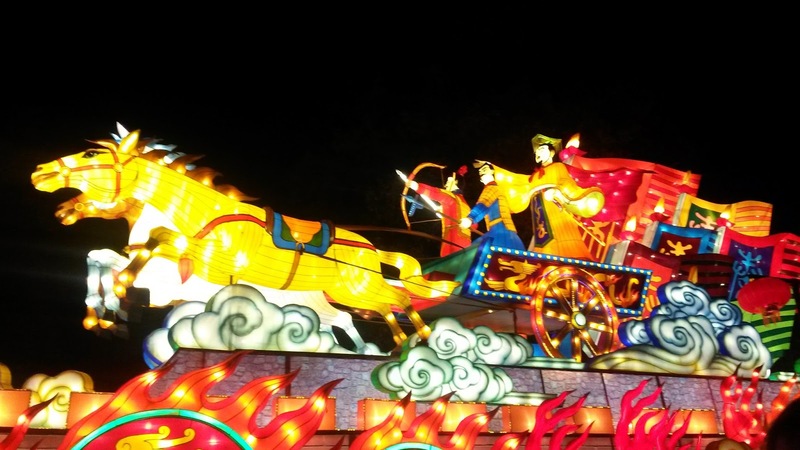 They even had a temple made from plates! It must have taken hours to put together but all their hard work definietly paid off. 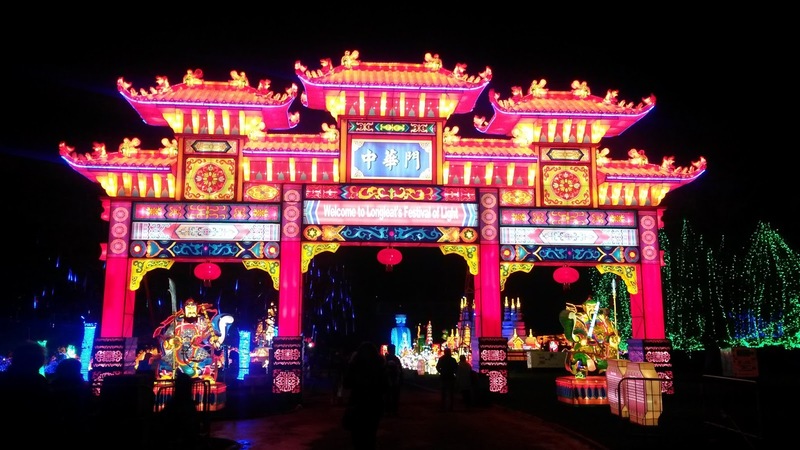 I highly recommend taking some time to go see the display. It was beautiful! Listening to: Death Cab For Cutie- Tiny Vessels.